Augustine and his colleagues were, at first, reluctant evangelists. They did not speak Anglo-Saxon English. Or the language of the indigenous Celtic Britons. Augustine and the 40-60 Benedictine monks who accompanied him were Italians. They were men of prayer and study. They were deeply committed to Christ and the mission of the Church. But the Anglo-Saxons made them nervous. With good reason. The Angles, Saxons, and Jutes, mercenaries from Germany, had been invited by the Britons to come and defend them from the Scoti and the Picts after the Roman soldiers left in 410. But the Germanic pagans had other plans, and began to take much of England for themselves, pushing the Britons into modern-day Wales and Cornwall. Thousands of Britons had come to know Christ in the centuries preceding the arrival of the Germans. But these Anglo-Saxons were decidedly ‘unchurched’. Thankfully, Augustine and his colleagues were invited by Queen Bertha of Kent, raised a Frankish Christian in Paris, and her pagan husband King Aethelbert, to set up shop at St. Martin’s church in Canterbury. 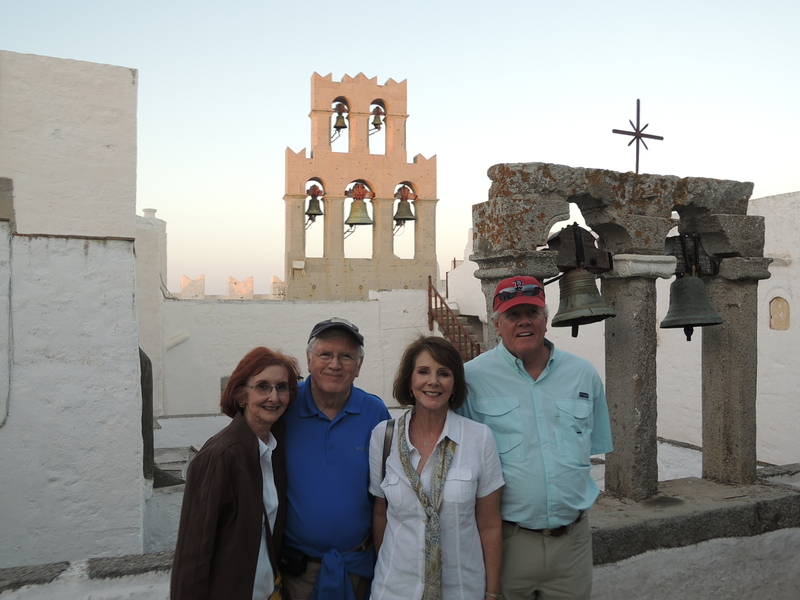 St. Martin’s was founded in the 4th Century, around the same time as the Church of the Holy Sepulchre in Jerusalem. Bertha had been using it as a chapel. Within months, Aethelbert was converted to Christ and baptized. That Easter, Bede writes that 10,000 were baptized. The rest is history. To this day, the mother church of Anglicanism is Canterbury Cathedral, where Augustine’s successors built a Church that would take the Gospel to the American colonies, Africa, China, India, and the rest of the world. Praying at St. Martin’s. Touching the Roman-built red brick in the walls. And gathering for our own service of Holy Eucharist, using the 1662 Prayer Book in the Jesus chapel at Canterbury Cathedral – these were moments I will remember for the rest of my life. I thank God for those reluctant Italian monks. And the Anglo-Saxon pagans who responded to the message of the Gospel. They are my ancestors. Their blood flows in me. And the legacy of their conversion, and the Church they built, has been an instrumental tool in the advancement of the essential mission of the Church: to make disciples of all the nations. We have climbed the mountain. And beheld His glory. Charming English towns in a region called the Cotswolds mark the lovely drive from York to Oxford. 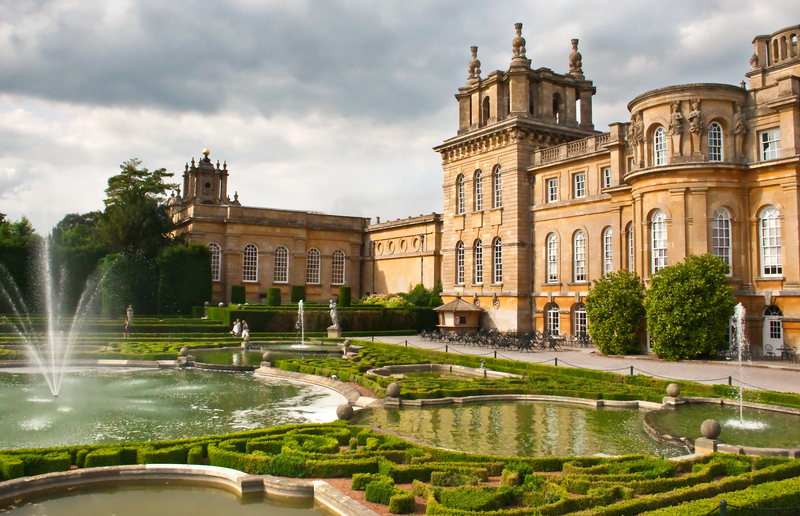 We stopped to enjoy a great tour, tea, and a leisurely walk at Blenheim Palace, the estate of the Duke of Marlborough and the ancestral home of Winston Churchill, who was born at Blenheim. A long walk through the lush gardens gave us all some welcome quiet time. 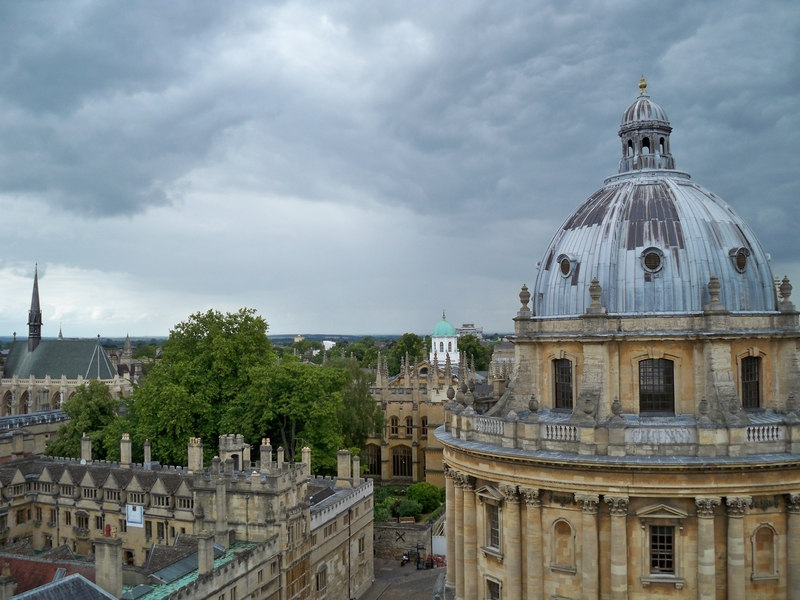 Instruction began at the University of Oxford in 1096, making it likely the oldest university in the English- speaking world. It was at Oxford that three senior English bishops, including Thomas Cranmer, were burned at the stake by order of Queen Mary Tudor for their efforts to develop and lead a Bible-based church in England, and for refusing to repent of their protestant beliefs and submit to the authority of the pope. We gathered in a sweet chapel at St. Mary Magdalene church to reflect on their sacrifice and pray for the Church. It was at Oxford that the ‘Oxford Movement’ began. In the mid-19th Century, a group of priests connected with the university began to write and publish a series of pamphlets, called Tracts for the Times, to denounce the increasing theological liberalism in the Church of England and to call the church to renew a number of apostolic and monastic practices. It was the so called Tractarians who renewed interest in the Divine Office in the Church of England and throughout the communion. 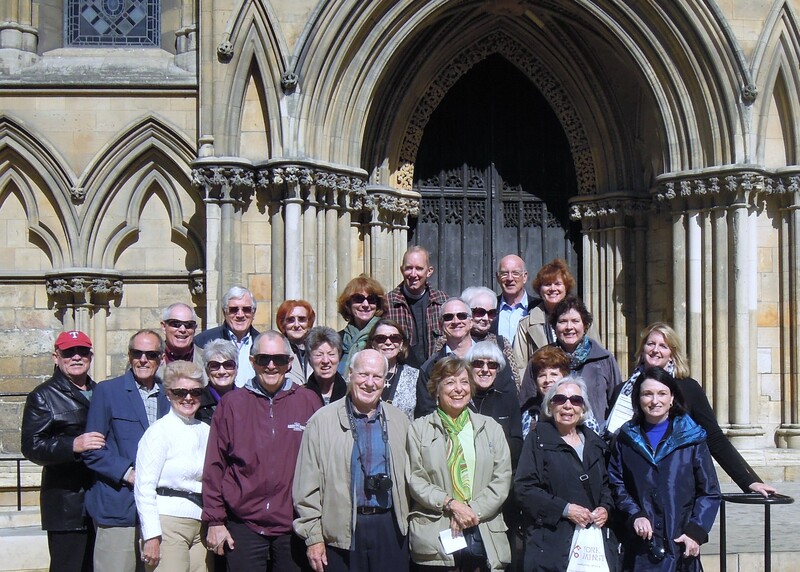 Indeed, our group has attended Choral Evensong, based on two monastic offices of vespers and compline, at Durham Cathedral, York Minster, and St. Paul’s Cathedral in London. We can thank the leaders of the Oxford Movement for Evensong, and for making Holy Eucharist the normative worship on Sunday mornings in the Episcopal Church and many others throughout the Anglican Communion. And it was at Oxford that CS Lewis trained as a soldier before World War I, attended University College, and both taught medieval literature and wrote prolifically at Magdalene College for thirty years. We toured the places where Lewis lived and wrote, including a short drive to the Kilns, a charming cottage that, interestingly, Lewis purchased and shared with two women. Oxford is one of my favorite places in the world. Events that occurred at this great University over the past 900 years have had a profound effect on my faith and that of most English-speaking Christians. We finished the day over a pint at the Eagle and Child, the pub where Lewis, JRR Tolkien, and other members of the famous friendly club the Inklings would gather daily and share drafts of their most recent work with one another. 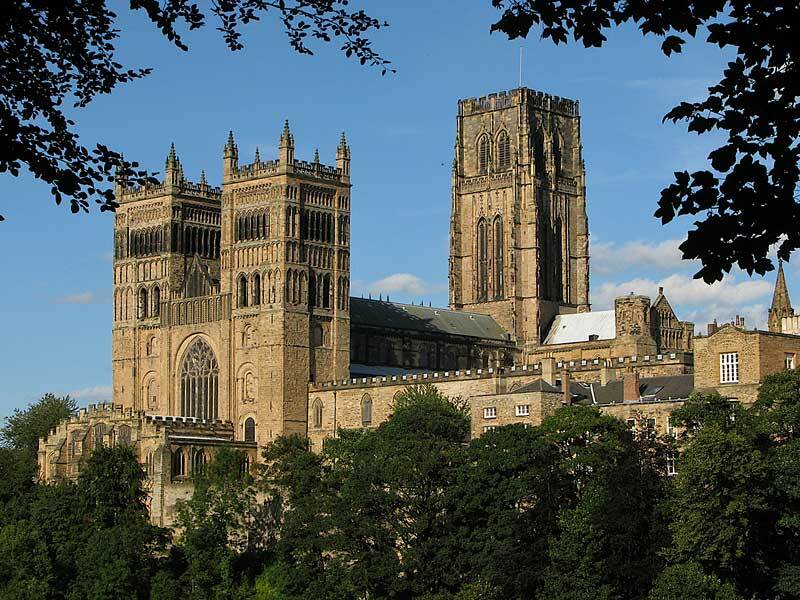 Durham and York hold two of the greatest cathedrals in the English speaking world. On consecutive evenings, our group was able to attend Choral Evensong at each. The magnificent setting, beautiful liturgy, and gifted singers made these evenings very special. The evensong we know grew from the singing and chanting of Vespers, or evening prayer, by monks throughout early Britain and the continent of Europe. The towering ceilings and spectacularly-inspired stained glass windows at Durham Cathedral and York Minster created the setting for a profound and intimate time with the Lord. After the Viking raids began on Lindisfarne in 793, the basecamp for the Church in northern England moved over time from the coast to Durham, then York. William the Conqueror built the inspired Cathedral at Durham, which is perhaps the greatest Romanesque building in Europe, in a remarkably short 40 year period in the late 11th century. In York, medieval builders took the genius of Norman architecture to another level. For me, the Minster is the most awe-inspiring place of worship in the world. We were thrilled to attend both Holy Eucharist in the morning and Evensong in the late-afternoon. And we gathered for coffee and tea in the magnificent chapter house, standing, sitting, and chatting where kings and archbishops have done the same for 1,000 years. This was not your typical monastic community. Around 630, King Aethelfrith of Northumbria, was killed. His two sons, Oswald and Oswith, went into exile off the west coast of Scotland. We believe they were taken in by the Celtic monks on Iona. Some years later, the young princes returned to rule Northumbria, an Anglo-Saxon kingdom north of Hadrian’s Wall. And they invited a team of monks from Iona to come to their kingdom, share the Gospel, and make disciples for Christ Jesus. 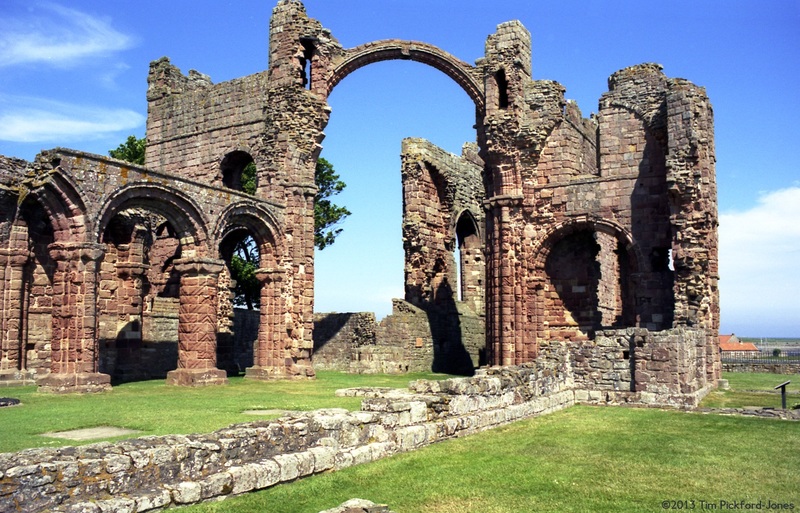 The monks elected to begin a monastery on a tidal island called Lindisfarne, seated off the eastern tip of the most northern corner of England. 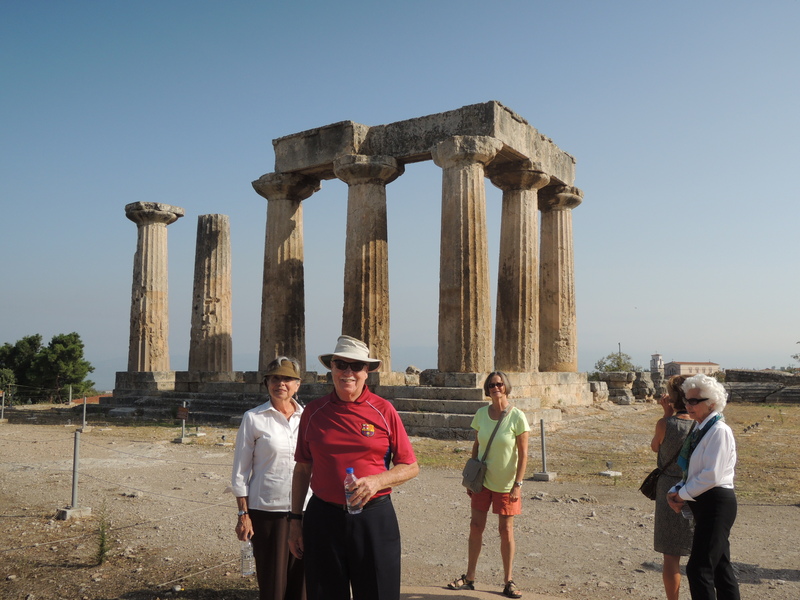 Over the next 29 years, the monks, led by St. Aidan, traveled throughout the region as ambassadors of the Gospel. First they established a school for twelve Anglo-saxon boys, nurturing the faith and the minds of the future leaders of the kingdom. Then they tirelessly preached and healed and taught and loved on the Britons and Saxons of the region. All the while modeling a profound commitment to Christ, living extremely humble and aesthetic lives. The foundation of faith they established would endure despite Viking raids and the Norman invasion. The monks created extraordinary illustrated copies of the Bible in Latin, and trained up believers in northern England in a spirituality rooted in prayer, study, and service. That is, in part, the legacy on which Anglican spirituality is founded. The morning air was crisp as we walked through the seventh century church, and very quiet as we prayed amid the ruins of the monastery on Holy Island. We gathered in the chancel on the ground where the monks had prayed eight times a day, decade after decade, over several centuries. Praying for the Gospel to spread among English speaking people like me. 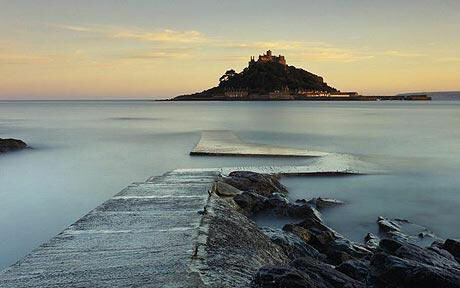 Lindisfarne is a secluded, still space that calls us back to a simple, deep, and courageous faith in Christ. We do not know the names of the first Christian missionaries to Britain. During a time in which Christianity was illegal, countless, nameless Roman soldiers, slaves, and merchants carried the Gospel to the pagans living in the British Isles. We know that their ministry bore some fruit because the attendance of Bishops Eborious of York, Restitutus of London, and Adelphius of Lincoln was recorded at a church council in Arles, France in 314. The first known missionary to the Scots was St. Ninian, a Briton who created and led a church at Whithorn in 397. 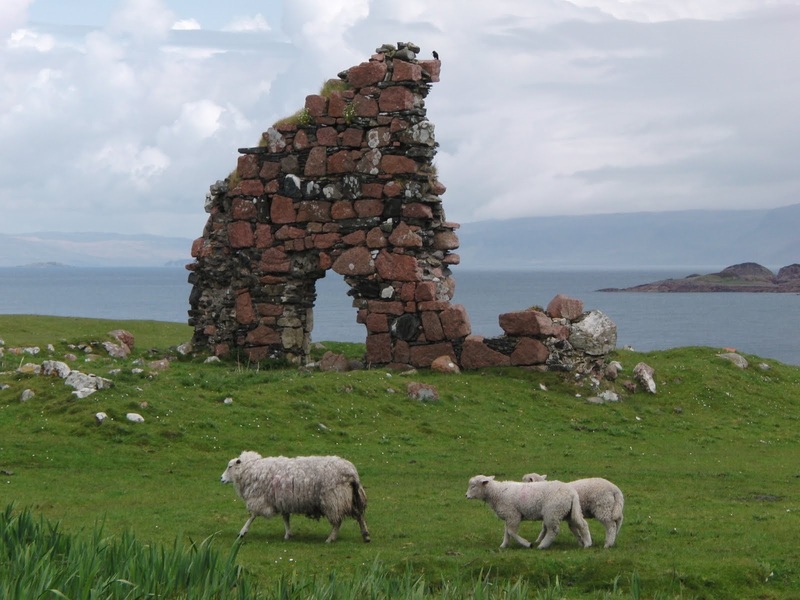 But St. Columba is the first Christian missionary we know by name who made a substantial, lasting impact on the Church in Scotland and northern England. His ministry helped to shape the Anglican way. This past Saturday, a small group of us flew to Glasgow, Scotland three days before the beginning of the Anglican Origins pilgrimage to the UK to travel to the small island where Columba created a tremendous base camp for mission and ministry to the British Isles. Iona is a small island which sits a mile off the coast of the Isle of Mull. In 563, Columba, or Collum Cille (‘dove of the Church’), an Irish aristocrat and monk, set sail with twelve other believers from the north coast of Ireland. There were no oars on their little skiff. No planned destination. Only a single sail and great trust that the Lord would take them where He might have them. They landed on Iona, a one-by-two-mile island with high winds, green grass, and a small hill. They founded a monastery and shared the faith with local peoples in the area. Over the coming years, they founded additional Christian communities up and down the western coast of Scotland. 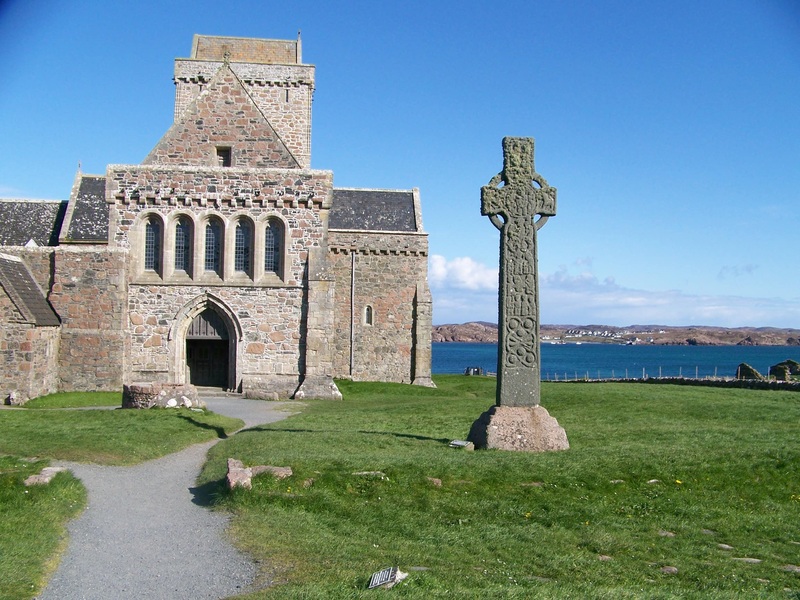 In time, their reputation as men of God and the regard for Iona as a notably holy place would lead 60 Scottish, Norwegian, and Irish kings, including Malcolm and Macbeth, to choose to be buried in the small graveyard adjacent to the chapel created by brother Oran. It took some time for us to get there. It was eight hours of driving, ferrying, driving, and ferrying again before we arrived on silent Iona. There were perhaps 150 people on the island. We walked through the ruins of an old nunnery and said evening prayer in the tiny chapel/shrine to Columba as others have for over 1,000 years. It was an amazing place of stillness and peace. And as the sun set, our small group enjoyed a powerful service of Holy Eucharist by candlelight in the small chapel dedicated to Oran. Hearing and feeling the wind move among us in the quiet of the island was a stirring reminder of the presence of the Holy Spirit. Iona is a reminder that we are a part of a Church built on the shoulders of men and women of great courage, tremendous faith, and exceptional resolve. Vikings attacked the island six times in the 9th century. But this little community continued to pray, translate the Scriptures, share the Gospel, and inspire the Church until the abbey was dissolved during the Protestant Reformation in 1560.